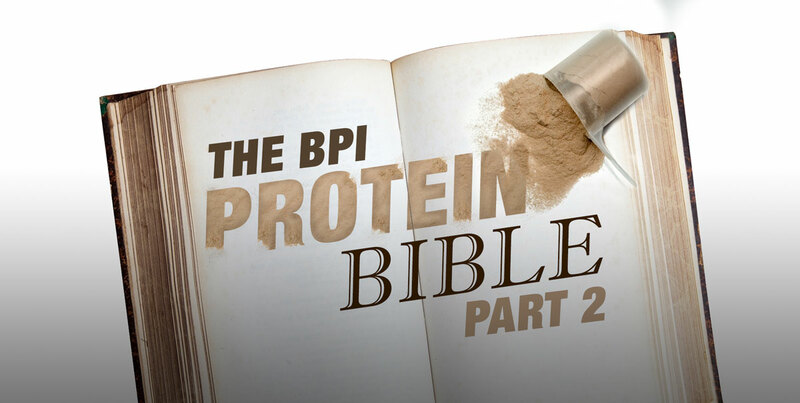 Part 2 of the BPI Protein Bible gives an in-depth look at the differences between BPI’s whey protein options. 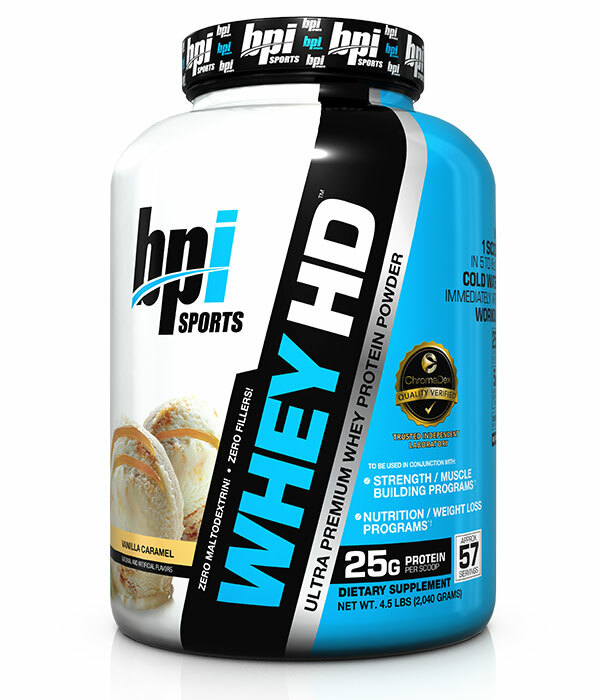 Whey HD™: This is the most popular of the BPI whey protein line-up. The ultra-premium, multi-functional Muscle Building Protein Blend that Whey HD™ contains has been strategically formulated with a powerful intra-workout muscle building agent for enhanced lean muscle building and recovery. 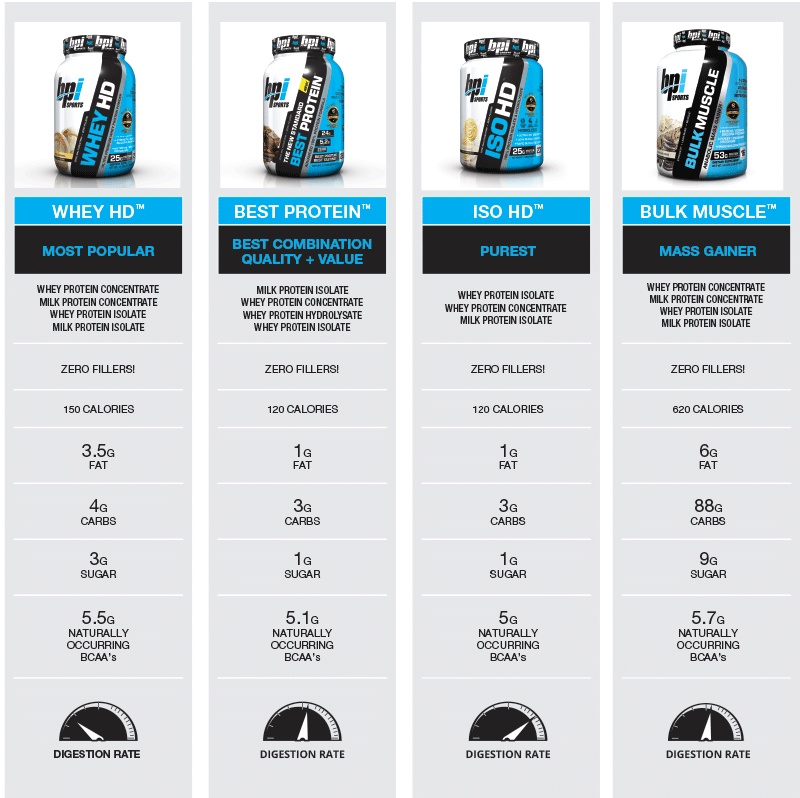 With Whey HD™, you are getting a quality protein product for an exceptional value. Each serving of Whey HD™ contains 25 grams of 100% whey protein. 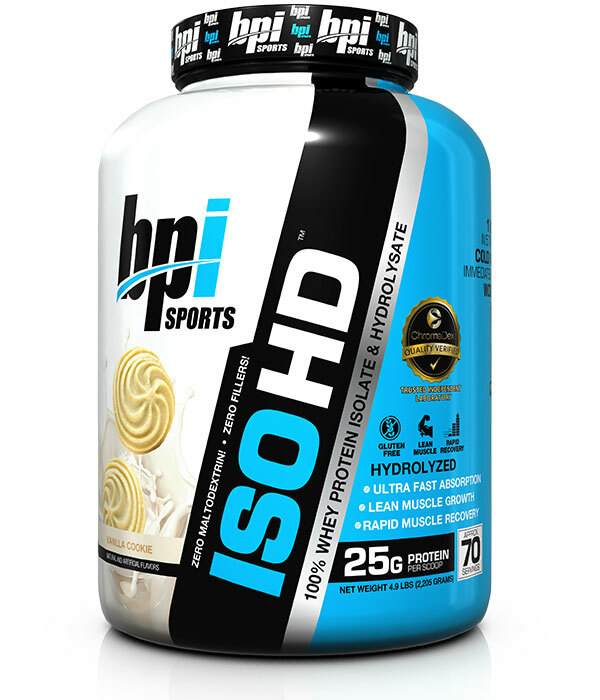 ISO HD™: When you are looking for the purest protein available, ISO HD™ is exactly that. A whey isolate protein is protein in its purest form. This form of protein digests more rapidly making it the perfect way to refuel after a workout – one of the most critical times to take a muscle building supplement. The ISO HD™ formula delivers 25 grams of 100% whey protein isolates and hydrolysates for enhanced muscle recovery and fuel for lean muscle growth. ISO HD™ also packs more servings per container than a majority of the competition. Best Protein™: There’s a reason we named this one BEST. Best Protein™ is the BEST combination of quality and value on a cost per serving basis. It’s the best value protein and the perfect blend of high quality, 100% whey without any fillers or other food additives. 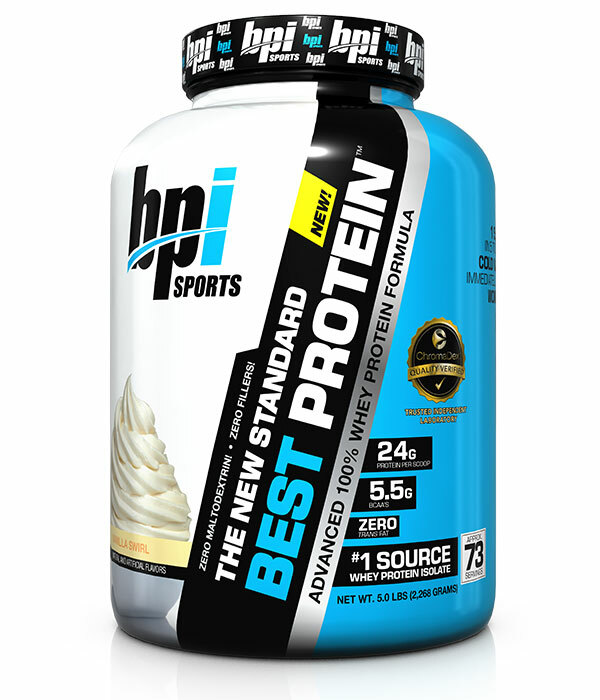 Best Protein™ delivers 24 grams of high quality whey protein designed to support strength and lean muscle mass – not to mention it tastes amazing! Bulk Muscle™: A mass gainer is a form of protein powder with higher calorie content than your regular whey protein or whey protein isolate. It takes more than just protein to really take your muscle growth to another level. 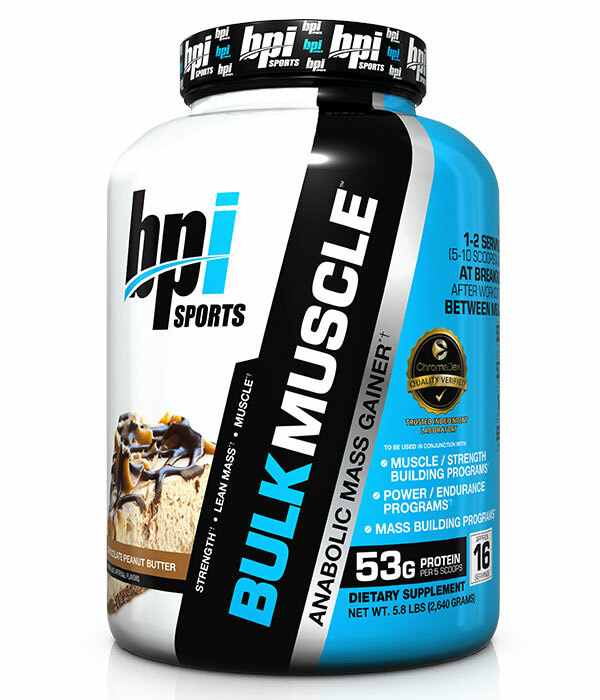 Bulk Muscle™ is loaded with the finest protein available without the simple sugars and excess fats that are in many other weight gainer formulas. When you want to get thicker, bigger, stronger, the right way, this is the protein you need.